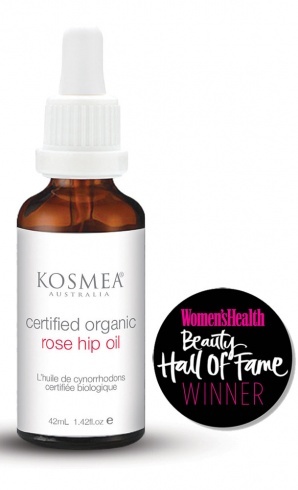 Kosmea is a South Australian company and international success story founded on the unique properties of organic rose hip oil. From ancient Greek meaning to ‘harmonise’ or ‘bring into balance’ Kosmea offers a complete range of natural skin care products for the face and body. Kosmea believes in ‘skin care as nature intended’. They have formulated natural skin and body care range around organic rose hip oil and the finest herbal, plant and flower extracts. They believe that health and beauty are inextricably linked with nature, which is why you’ll find products free from harmful synthetic ingredients and containing only the very best nature has to offer. Simple, natural skin care. Kosmea’s complete natural skin care regime has been specially formulated using the very best ingredients Mother Nature has to offer, and is suitable for all skin types, especially sensitive. Formulated around the unique properties of organic rose hip oil, this daily skin care range has a product to suit everyone’s skin care needs. AS ALWAYS, PRICE INCLUDES SHIPPING. SORRY, U.S.A. ORDERS ONLY. I DO NOT SHIP INTERNATIONALLY. A super-active eye cream, formulated with PhytoCellTec™ and powerful natural actives to leave the skin feeling refreshed, brighter and younger looking. Size 15 mL. Use the Apple of My Eye Cream™ morning and night on clean, dry skin. Apply a small amount to the eye area and gently pat into the skin. For best results, use after applying Kosmea’s Radiance 24/7 Youth Boost to the face and neck area. Let nature rescue you from skin emergencies with this organic soothing ointment! Smooths wrinkles, improves skin texture, restores moisture balance, soothes dry, itchy skin, nourishes and hydrates, restores skin's natural glow. Bargain size rose hip oil, 42mL (1.42 fluid ounces) for $69.00. A light, non-greasy moisturising lotion with broad spectrum protection. 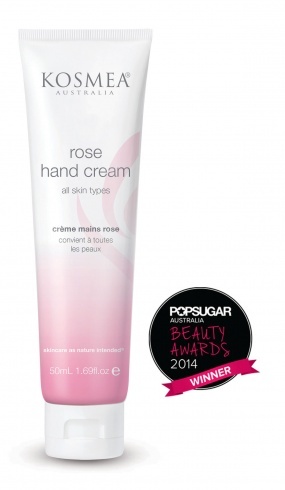 Indulge your skin with this rich, soothing and nourishing all-over body cream. Formulated with premium certified organic ingredients including rose hip butter, everlasting oil and shea butter, this product is loaded with vitamins, antioxidants and essential fatty acids. 125mL / 4.23 fl. oz. Introducing Radiance 24/7 Youth Boost, Kosmea’s antioxidant-rich facial oil, packed with a powerhouse combination of natural ingredients that fight aging and deliver a youthful, glowing complexion. A few drops of Radiance 24/7 Youth Boost massaged into damp, clean skin twice daily will transform any skin type. 20mL / 0.68 fl. oz. A gentle, skin-nourishing cream cleanser. Suitable for all skin types, including sensitive. A gentle, SLS-FREE facial cleansing wash.
An instant effect face-recharger! Lifts off dirt, make-up and dead skin cells to reveal a more radiant you. For an instant face wake-up call!